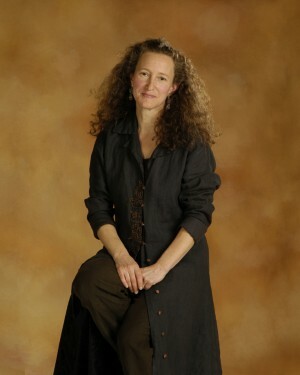 Priscilla Kane Hellweg is the Executive Artistic Director of Enchanted Circle Theater (ECT), a non-profit, multi-service arts organization in Holyoke, Massachusetts. She has written, directed, and performed educational theater, and taught arts integrated curricula extensively throughout New York and New England for over thirty years. Under Ms. Hellweg’s direction, Enchanted Circle has become the regional leader in arts integration, working district-wide in public schools throughout Western Massachusetts, and collaborating with over 60 community partner organizations, developing work that bridges arts, education and human services. Ms. Hellweg received the Champions of Arts Education Award from the Massachusetts Alliance for Arts in Education, and a Millennium Award from the National Guild of Community Arts Educators for her commitment to making high quality arts education accessible to all. In 2016, Enchanted Circle was nominated to represent Massachusetts by the Massachusetts Cultural Council to receive the Creativity Connects Award from the National Endowment for the Arts. ECT’s work was highlighted in the national PBS series, American Graduate, for its Shakespeare program that combats summer learning loss in Holyoke Public Schools. Enchanted Circle received the 2015 Commonwealth Award, Massachusetts’ highest honors in Arts, Sciences, and Humanities, received the 2013 Arts and Humanities Award for Outstanding Organization from NEPR, and was named Outstanding Arts Collaborative in 2011 from Arts/Learning. In 2013, Priscilla designed and launched ECT’s Institute for Arts Integration, a professional training program for teachers, teaching artists, community-based educators, and pre-service college students, funded by the National Endowment for the Arts. In 2011, she presented a TEDx Talk entitled The Moment of Inspiration for Pioneer Valley TEDx at Amherst College. Priscilla has created numerous arts integration initiatives to enhance academic achievement in public schools. She has taught Professional Development workshops for many district-wide school systems in Massachusetts and Connecticut, as well as the Wang Center in Boston, the Smithsonian Institution in Washington D.C., the History Institute at the University of Massachusetts, and the Collaborative for Educational Services in Northampton, MA. She has collaborated on the development of several Teacher Training Institutes with numerous partners, with funding from the National Endowment for the Humanities and Teaching American History grants. She is adjunct faculty at the University of Hartford and Westfield State University. Priscilla serves on the Massachusetts Arts Education Advisory Council, the MassCreative Leadership Council, the MCC Creative Youth Development Council, the Holyoke Early Literacy Initiative, and is a member of the Massachusetts cohort of the National Creating Connection Initiative. Priscilla is currently working on a book entitled: Actively Engaged- Theater as a Dynamic Teaching Tool.